Kyrie Irving was a National Basketball Association (NBA) star before he played a game in the league. 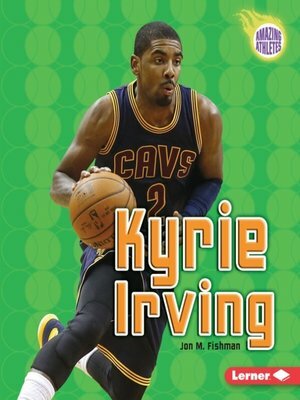 Kyrie was the first pick in the 2011 NBA draft, and Cleveland Cavaliers fans were anxious to see what the high-flying guard could do. Kyrie was ready for all the attention. He scored almost twenty points per game for the Cavs and was named NBA Rookie of the Year. In 2014, Kyrie won the Most Valuable Player award at the NBA All-Star Game. Read more about one of the NBA's best players.